When your visit a blog, you must have noticed those orange buttons on display, especially if they are big and shiny like the one on the left. Those are RSS feed buttons. You know what they’re used for right? (If not, please refer to What is RSS? ). But you might wonder how do you put one of those in your blog? Go find one in the net, just search for RSS buttons, make sure it’s free for use before you download them. Upload it into image host (e.g. Photobucket, Imageshack, Flickr etc.). Copy the direct link to the button. Decide where you want to put the button in your blog. I would suggest in the upper right side sidebar. By the way there are two RSS feeds come out from your blog. One is posts feed and the other one is comments feed. Its up to you whether you want to use separate buttons or use the same button twice or…..you decide. Just replace my url with yours. “Subscribe to my feed” text will appear next to the button. The title ”Click to subscribe” is a tooltip message which appears when you hover the button with the mouse. Both texts can be replaced with your own. The green portion specifies your button location on the web. Just copy and paste the link in step 3 to replace the url in the example. Now you code is complete. Click save. Go ahead view your blog. 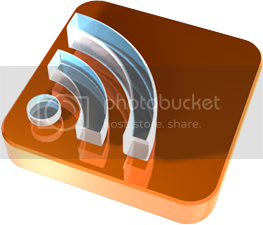 19 comments to "Adding RSS feed button to your blog"
You use the wrong link. The proper link should be http://farm4.static.flickr.com...... and it ends with your image file format such as jpg or gif. thanks, and what am i doing wrong with the top half? You have an L at the end of DrawingFromMusic. i want to put it at the top of my blog where i don't have option to keep widget. You have to create a section (widget container) first. If it is beside the header, read Add banner, Adsense or search box in header. You're welcome. Click the Post Index tab for more tutorials. Hi, i have a template with 5 blogs attached to it. And i was a single RSS button for that. Is it possible? Can someone help me and guide me please?!!!! I know that this is an old post but it has been the clearest so far. Only I appear to have missed something as I am missing the RSS icon on my blog, could you please let me know where I am going wrong. I've updated the code, so please recopy. You feed url is fine. I know that it should be as easy as copy and paste, however this time it does not recognise the URL, have I copied too much? I'll be honest it all looks like a foreign language to me. Thank you for your efforts and I give you A* for your prompt responses, you made it super easy for me so I can't go wrong. However on my end the Configure Feed box does not like either URL's telling me they are invalid, and I have even attempted to apply them under the "add your own" URL but it does not like the characters. Then I thought let me go back to our first exchange and I followed your posts original instructions, rather than my interpretation and I put my original URL feed in again, which you said was fine! http://glitterbug-giftboxes.blogspot.co.uk/feeds/posts/default?alt=rss .......updated it and it's there, just as you described, haha brilliant! And thank you for your assistance.